This is third in a series of three posts about J. K. Rowling’s use of the tarot card ‘The Hanged Man.’ Part one was ‘Harry Potter and The Hanged Man: Part 1 Rowling’s Most Loaded Tarot Reference‘ in which I discussed the many times Rowling included images of characters hanging, playing hangman, or hanging upside down, as well as her one reference to ‘The Hanged Man’ per se. 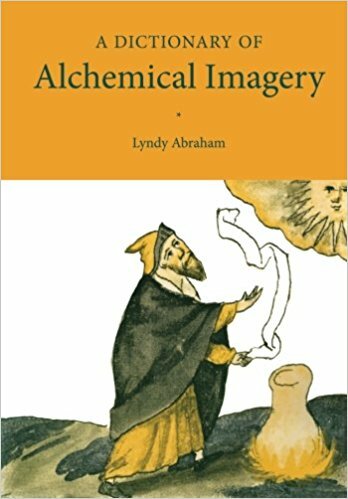 In Part two, ‘Harry Potter and The Hanged Man: Part 2 The Historical and Occult Interpretations,‘ I laid out the several meanings assigned to this specific tarot card, to include the A. E. Waite interpretation Rowling was probably most familiar with. In this concluding piece I will offer for your consideration three ideas of why Rowling used ‘The Hanged Man’ and has so many images of and references to upside down people, gallows victims, and hangman games in her work. (1) It’s A Number and Ring Thing: The hanged man references begin in Philosopher’s Stone but really take-off in Goblet of Fire with Frank Bryce being ostracized by the gossips at ‘The Hanged Man’ pub who try and convict him from their bar stools for the murder of the Riddle family. Harry sees the Muggles tortured at the Wizard World Cup by being hung upside down and is turned upside down himself twice in the third TriWizard task. What is it about Goblet that would make it a match with ‘The Hanged Man’ tarot card? The Hanged Man’s legs as more than one tarot guide points out take the shape of an inverted number four. 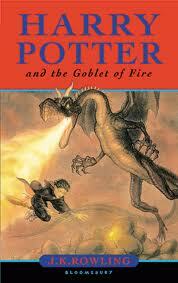 Goblet is the fourth Harry Potter novel. 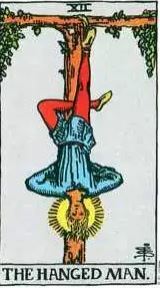 More to the point, The Hanged Man is card number 12 in a 21 or 22 card Major Arcanum sub-deck and this card’s figure resembles both The Fool, the ‘zero’ card of that series not usually counted, and The World, the last card of the sub-deck. The card means in this regard that we have come to number four, the middle of the series, and its involution reflects our making a story turn to a glorious end, hence The Hanged Man’s nimbus and serene look. It’s an inside joke, in other words, for Rowling’s target audience of “obsessives” who work to solve all her structural and symbol puzzles. (3) It’s about Social Justice: And Frank Bryce? Mrs Norris? The Muggles suspended mid air by the Death Eaters at the World Cup fairgrounds? Not to mention the gallows and its victims in the fourth book of the Cormoran Strike series, Lethal White? These hangings in Rowling’s work are a fairly straight forward condemnation of capital punishment as a great injustice, the continued crime against humanity of the powerful punishing the weak because they can and feel they should. 12: THE HANGED MAN — Wisdom, trials circumspection, discernment, sacrifice, divination, prophecy. Reversed: Selfishness, the crowd, body politic. The card right side up, the character then being upside down, is about transformation and sacrifice and, reversed, it is a hanged man, a victim of mob justice however sophisticated and ornate the governmental trappings given the affair. Or so I think! I offer these possibilities as jumping off points for your consideration and correction. Let me know what you think by clicking on ‘Leave a Comment’ up by this post’s headline and typing in your interpretations of The Hanged Man, the hangman games, and all the upside down and right side up hanged characters in Rowling’s work. While reading this last part I was once again reminded of how JKR introduced the title for the 4th Cormoran Strike novel, Lethal White. She gave us just two letters in a game of Hangman and left it to us to figure it out. Other than the Chiswell/Knight gallows back story that provides the blackmail element when one of those gallows is used to wrongfully hang a young man in Africa–I could not come up (off the top of my head) any other Hanged Man incidents in the Strike series. However, there is the fact that Cormoran has twice saved people by pulling them to safety: Robin when she was beginning to fall–head first–down the Denmark office steps and another time when he pulled Anstis, who was sitting in the front of the army transport, over the seat and into the back as the vehicle exploded. Both of these saves could be seen as either in an upside down position (Robin) or putting them into one (Anstis) to save them. Both of those saves continue to impact his life. Another thought that hit me–and may seem a bit of a stretch–but the visual of the Hanged Man card actually puts me in mind of Cormoran himself. The man on the card is hung by his one leg with his other leg bent to give the image of half a leg. Could Cormoran be the Hanged Man? There is also Whittker’s throat slash gesture at him.